There can be no assurance of income earnings. Monetary and income results are based on many factors. We have no way of knowing how well you will do, as we do not know you, your background, your work ethic, or business skills or practices. Therefore we do not guarantee or imply that you will make any money online, you must accept the risk of not doing well. Nor are we responsible for any of your actions. As a visitor and reader of the articles published on this website, you may find affiliate links used by the authors of the articles, as well the links used in the authors profiles. You attest and verify that neither our company, nor any of its affiliates have guaranteed or implied any income, whatsoever, either from the company affiliate plan or from any other 3rd party visited link, any 3rd party offer purchased following an affiliate link found in the articles or in the authors profiles. 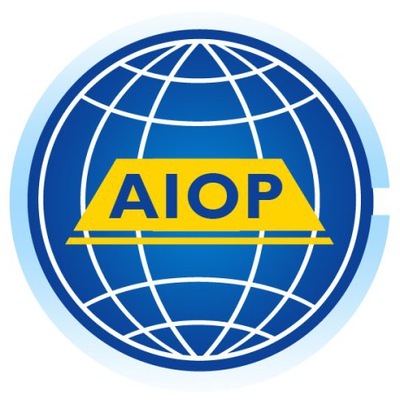 In the eventuality that you are or you become an AIOP Affiliate/Partner you attest and verify that neither our company, nor any of its affiliates have guaranteed or implied any income, whatsoever. You understand, accept and agree that we have made no implications, warranties, promises, projections, representations or guarantees to you about future results or earnings, or that you will earn any money, with respect to the services or products purchase from our company or from any other links and affiliate 3rd party links you may found on this website, and that we do not authorize any such representation by anyone. Any income which may be received or generated by you will be solely based upon the sale of our company products and services as described in the corporate web site, in case you become our client and resell our goods. You also do hereby attest and verify that you will make no claims of income, or guarantee of income, either directly or indirectly..
We do not promote our sites, services or products as a guaranteed income provider or a “get rich scheme”. Materials in our product/service and our websites may contain information that includes or is based on “statements” that give our expectations or forecasts of future events. You can identify statements, within the meaning of the securities litigation reform act of 1995, by the fact that they do not relate strictly to historical or current facts. They may use words such as “potential” “anticipate,” “estimate,”. “expect,” “project,” “intend,” “plan,” “believe,” and other words and terms of similar meaning in connection with a description of potential earnings or financial performance. Any and all forward looking statements here or on any of our sales material are intended to express our opinion of earnings potential. Many factors will be important in determining your actual results and no guarantees are made that you will achieve results similar to ours or anybody else’s, in fact no guarantees are made that you will achieve any results using the materials and services we provide or any of the affiliate links or 3rd party links you may find anywhere in the articles published, static content or authors profiles. Results may vary, as with any business opportunity, you could make more or less. Success in ANY business opportunity is a result of your understanding, actions, hard work, time and a variety of other factors. No express or implied guarantees of income are made on this website or when you purchase anything from us or from 3rd parties links on this website. All the services and products provided by AllInOneProfits.com.com are for helping everyone to start a business or grow an existent business, for educational and informational purposes. Use caution and seek the advice of qualified professionals. Check with your accountant, lawyer or professional advisor, before acting on this or any information. Users of our products and services and websites are advised to do their own due diligence when it comes to making business decisions and all information, products and services that have been provided should be independently verified by your own qualified professionals. Internet Business, Income Opportunities and earnings derived from them have unknown risks involved, and are not suitable for everyone. Making decisions based on any information presented in our products, services, web site, audio recordings or video testimonials, should be done only with the knowledge that you could experience a loss of time and money, or make no income at all. Our information, products, services, website, and opportunity should be carefully considered and evaluated before reaching a business decision on whether to rely on them. All disclosures and disclaimers made here in or on our site, apply equally to any offers that we may made and to any 3rd party affiliate links you find on this website. You agree that our company and our affiliates are not responsible for the success or failure of your business decisions relating to any information presented on this website or by our company, our product, services, or opportunity. We reserve the right to make changes to the content of this page without prior notice.